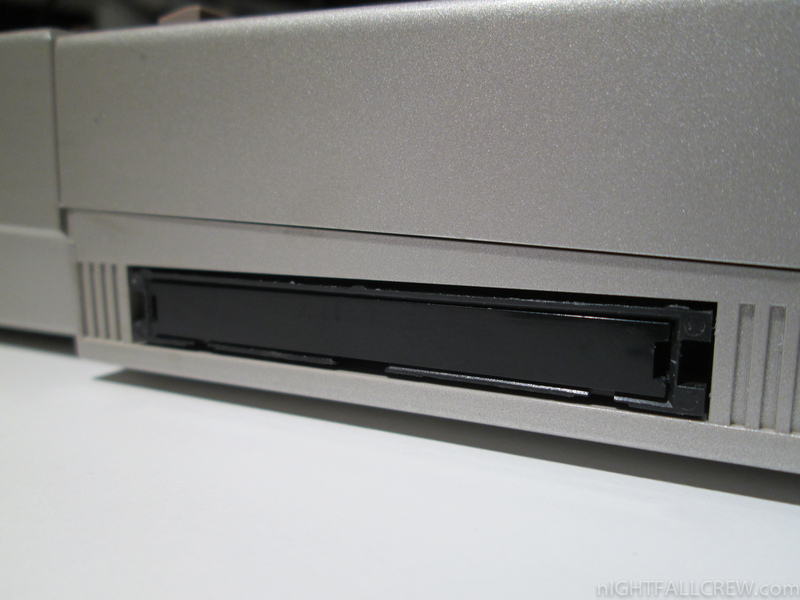 The latest images of the gallery show how to replace the NiCd accumulators. 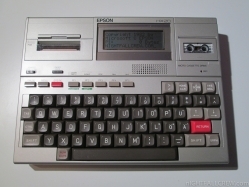 The Epson HX-20 (also known as the HC-20) is generally regarded as the first laptop computer, announced in November 1981, although first sold widely in 1983. 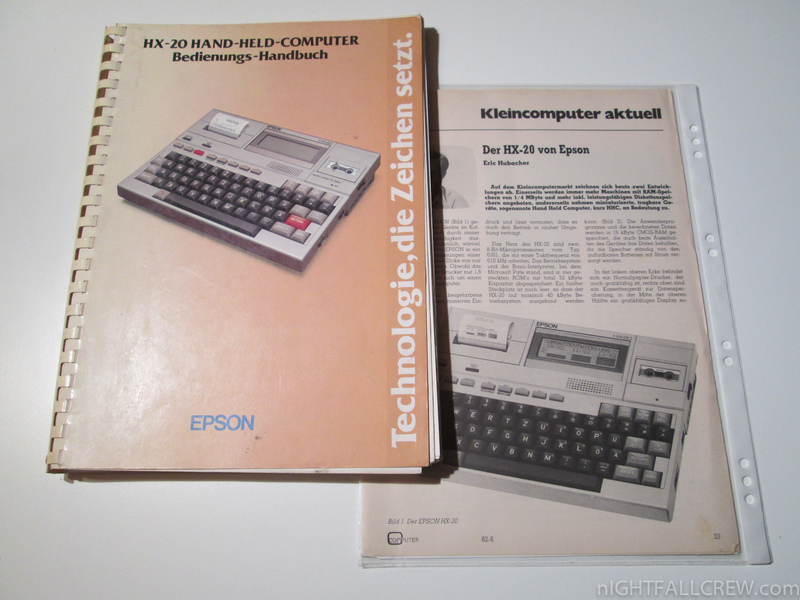 Hailed by BusinessWeek magazine as the “fourth revolution in personal computing”, it is generally considered both the first notebook and handheld computer. 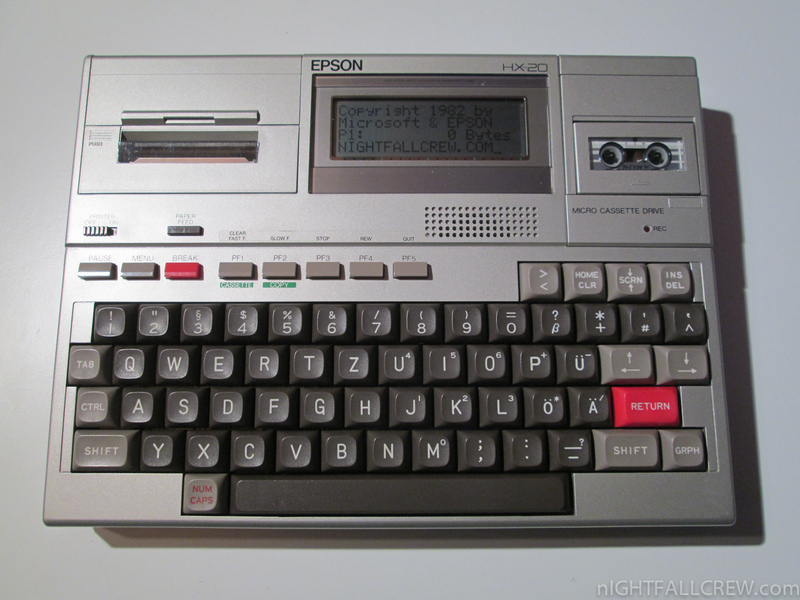 With about the footprint of an A4 size page, the Epson HX-20 features a full-transit keyboard, rechargeable nickel-cadmium batteries, a built-in 120 × 32-pixel LCD (smaller than that on many mobile phones today) which allowed 4 lines of 20 characters, a calculator-size dot-matrix printer, the EPSON BASIC programming language, two Hitachi 6301 CPUs at 614 kHz which is essentially a souped up Motorola 6801, 16 kB RAM expandable to 32 kB, two RS-232 ports at a maximum of 4800 bits/s for the first 8-pin DIN connector intended for modem or serial printer with the second port capable of 38400 bits/s using a 5-pin DIN connector which was mainly for use with external floppy drive and video display an early concept of docking station, a 300 bit/s acoustic coupler was available, built-in microcassette drive, barcode reader connector. 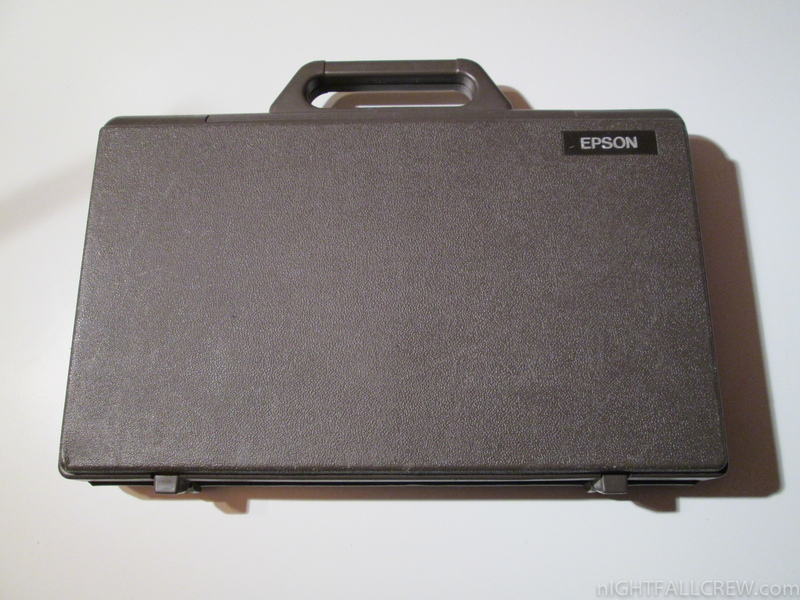 Uses a proprietary operating system, which consists of the EPSON BASIC interpreter and a system monitor program, and weighs approximately 1.6 kg. 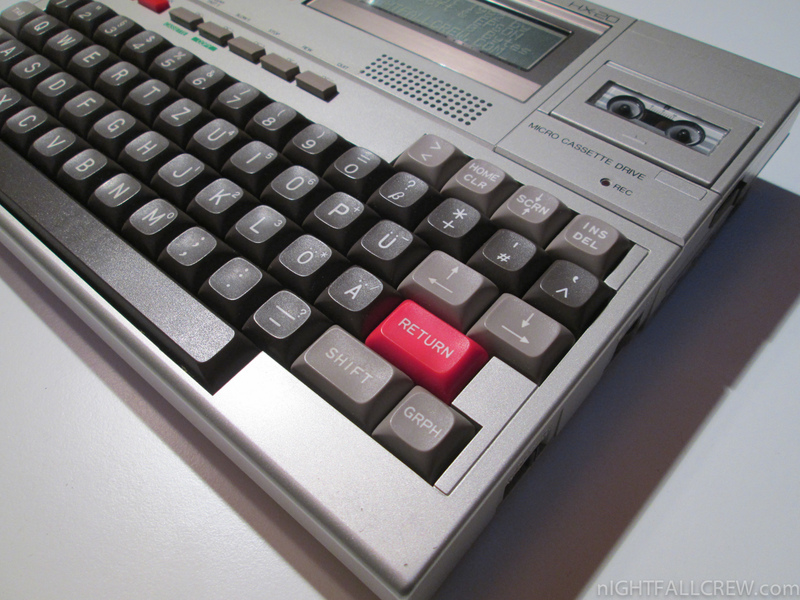 Known colours of the machine are silver and cream, while some prototypes were dark grey. The HX-20 was supplied with a grey or brown carry case. 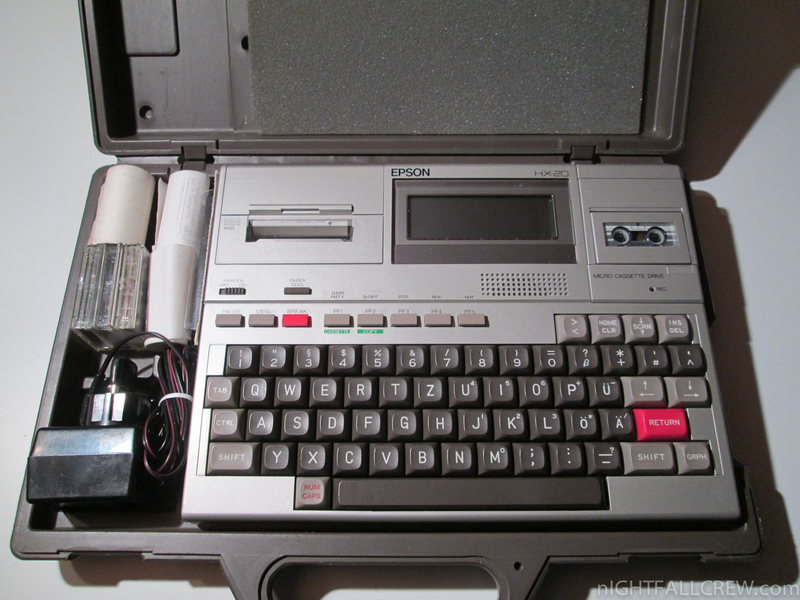 An external acoustic coupler, the CX-20, was available for the HX-20, as was an external floppy disk drive, the TF-20, and an external speech synthesis Augmentative Communication Device (ACD), ‘RealVoice’. Another extension was the serially connected 40 x 24 character video. 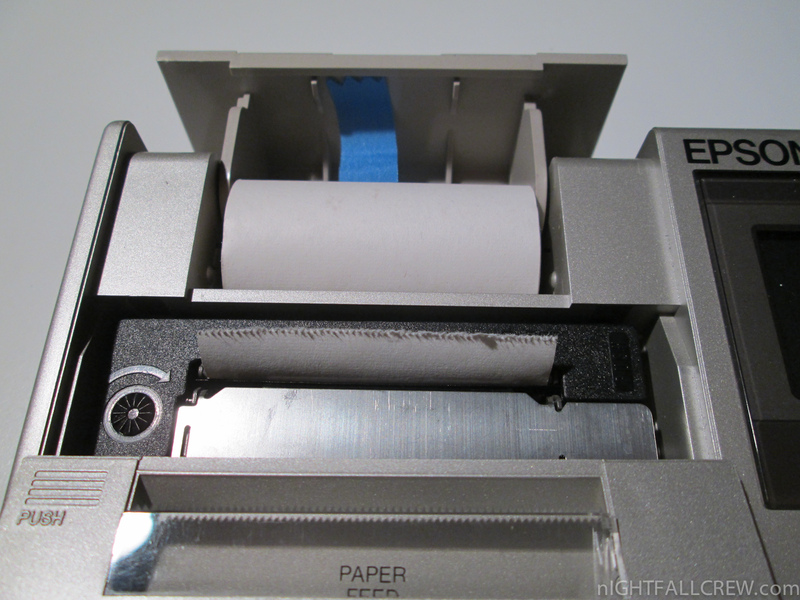 It used a special protocol, EPSP, which was also used by the external floppy disk drive. 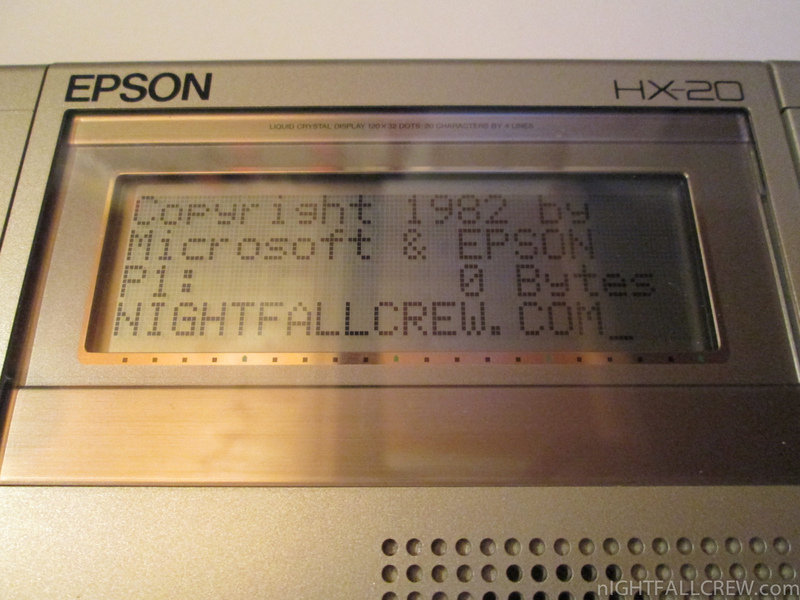 The battery life of the HX-20 was approximately 50 hours running BASIC and less using the microcassette, printer or RS-232. 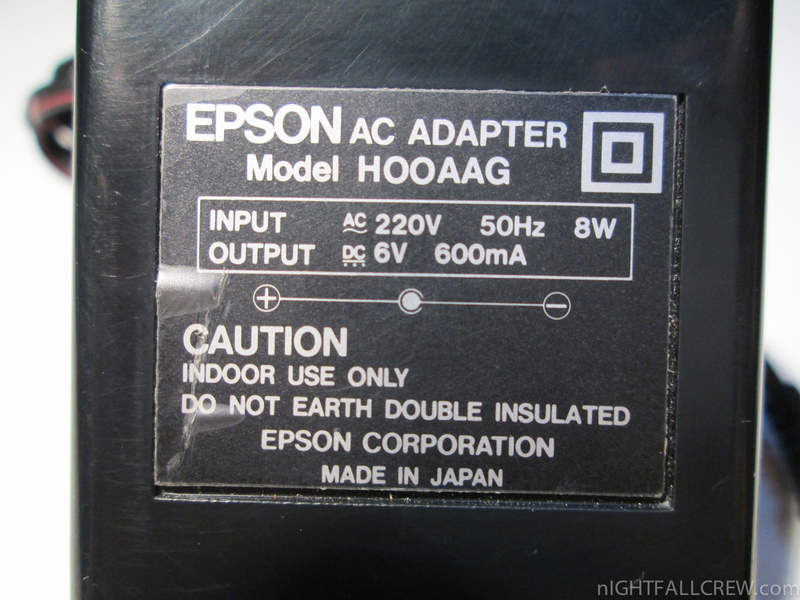 The data integrity could be preserved in the 4.0 – 6.0 V range. 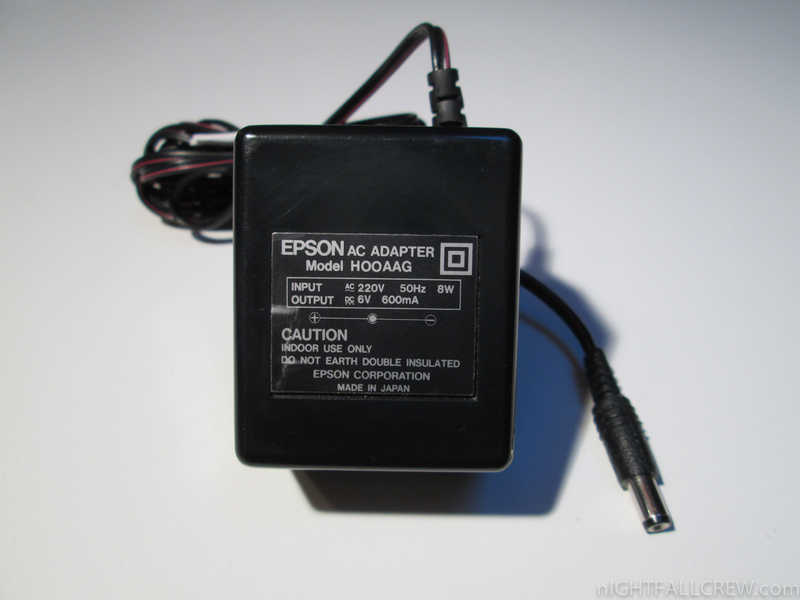 The power supply was rated for 8 W. Operating and charging it would tolerate 5 – 35 °C. Data integrity could be preserved at -5 – 40 °C. The HX-20 could be stored between -20 – 60 °C. 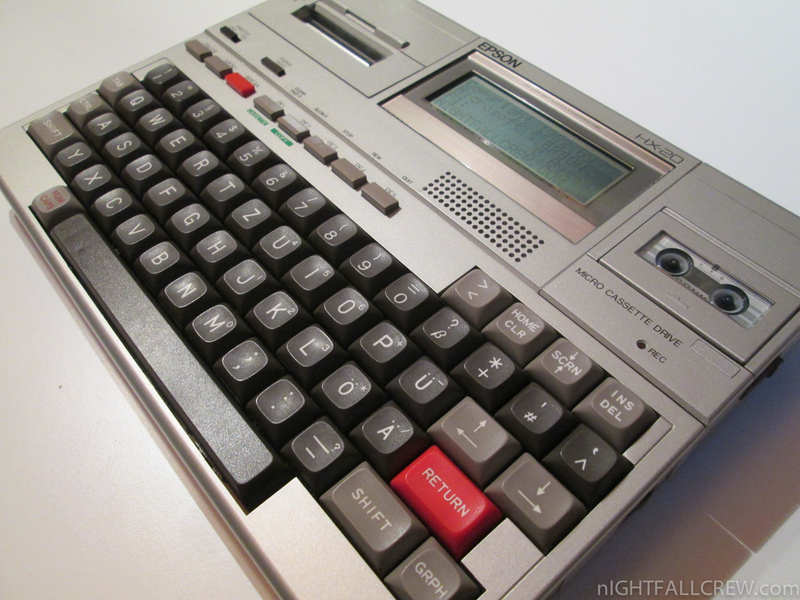 The later, more popular TRS-80 Model 100 line, designed by Kyocera, owed much to the design of the HX-20. I hope You can help. 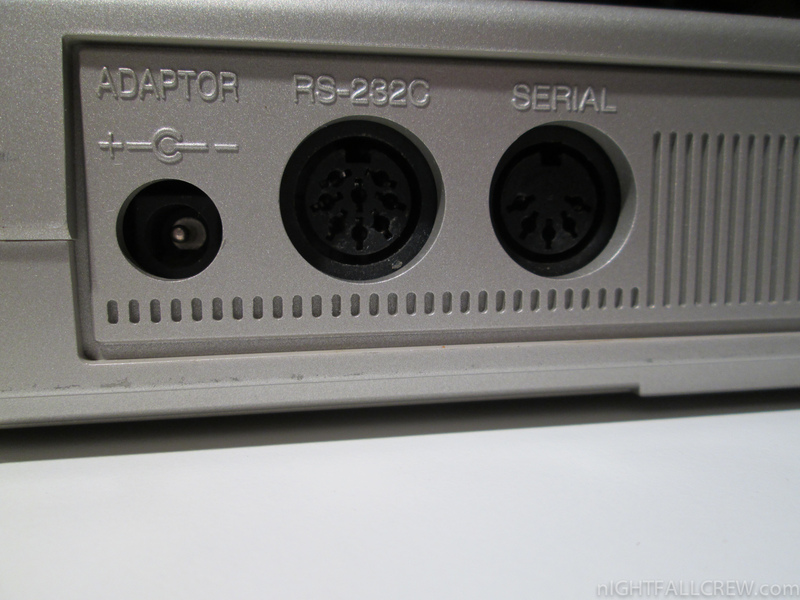 I have two HX-20 but both do not run with power supply (6V) attached. 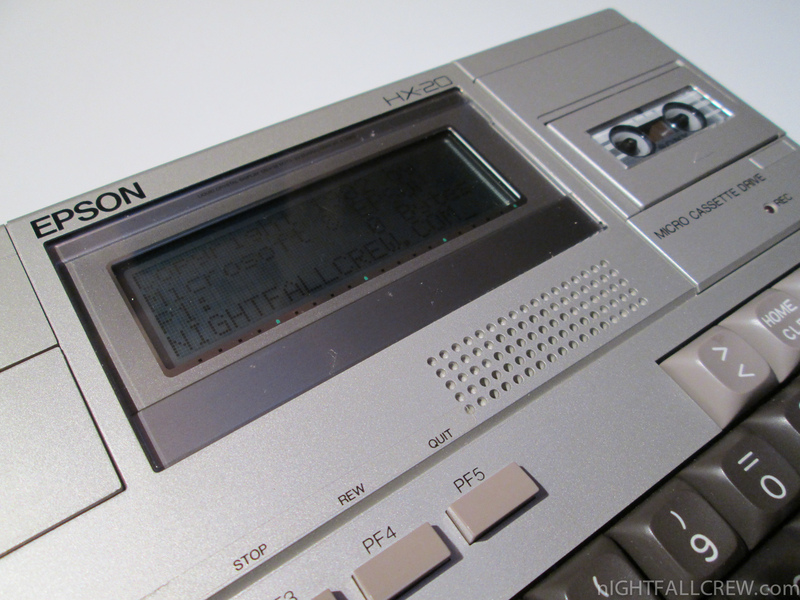 Is it possible to run the HX-20 only with power supply or is a fully functional battery required? I think the battery is defective. 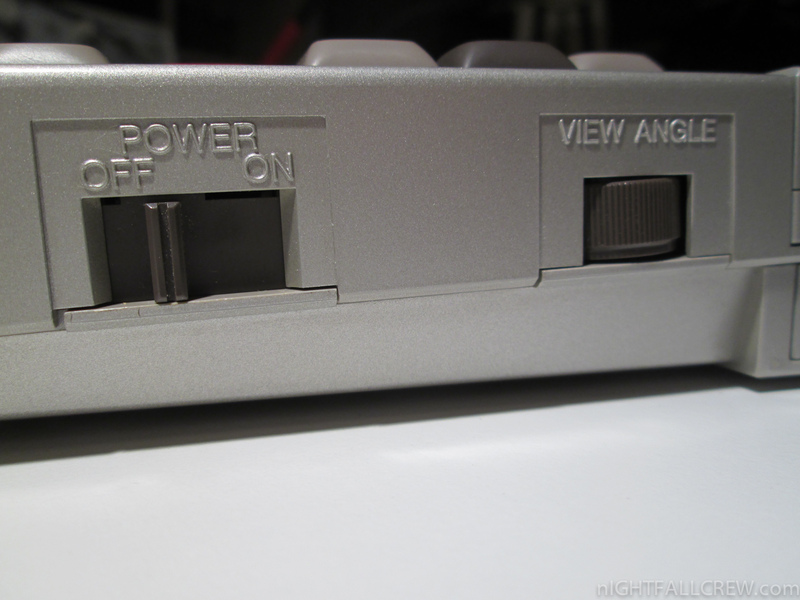 I found that the HX-20 require a functional internal battery to operate (even with the adapter plugged in). I’ve had my HX-20 since they first came out, I bought mine new. 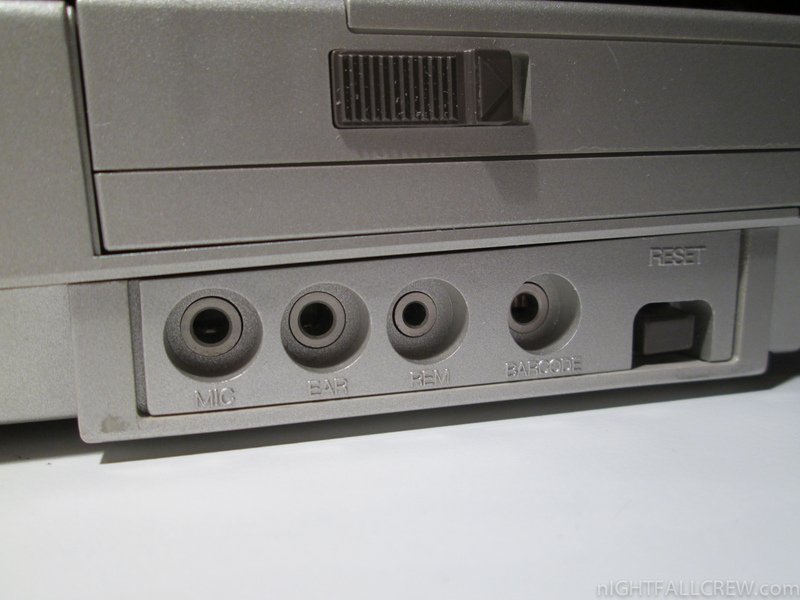 Yes, the power circuit inside the unit is quite crude, I understand, and it is designed on the assumption that the battery is there, and functioning. You cannot operate the machine without a battery. Of some sort. I’ve been using an external battery pack for some years without any problem. My microcassette has now failed, prob just the rubber band, but no luck getting inside to replace. I’ve been experimenting with saving/loading files via CAS1: to laptop as .WAV files. Works fine. Do you still have this XAD? Any chance of a scan of the listing for Bomber, or an MP3 of the game file, please? Would love to see this game preserved, but seems very hard to find.